There’s no hiding from the fact that Brexit is having an impact on Britain’s economy and consumer confidence. With things unlikely to change until a deal with the EU is agreed and approved in Parliament we've taken a look at how this is affecting property investors. Interestingly, Brexit is having less of an impact on property investors and the buy to let market. Research from Market Financial Solutions found that 57% of property investors have not changed their investment strategy due to Brexit. According to the survey, 64% of investors have not let Brexit dictate their property purchasing decisions, and 45% of investors have expanded their portfolios. If you’re thinking of getting into buy to let investment, plan to expand your property portfolio, or want to try short term letting, here are our tips for identifying properties with investment potential. Look for areas that are set for regeneration or are in the throes of being regenerated, especially if improvements are being made to local infrastructure and new jobs are being created. Areas of regeneration are highly likely to see house prices increase over time, increasing your potential return. Choose a property that doesn’t need many improvements. Improving properties can increase their value, but come at a considerable cost, and a cost that you’re not always assured to recoup. Low-maintenance properties often offer the best value, especially for first-time or hobby landlords who do not wish to spend significant amounts of time or funds on maintenance. Before purchasing an investment property, understand the local area and the type of tenants that live in the area – are they young professionals, students or families. This information will help steer you to source a property that matches the requirements of the tenant. For example, a family will want enough bedrooms for their children, a larger kitchen and living / play areas, whilst students will require their own room and space, and want something that is low maintenance. Most short-term renters are tourists or businesspeople searching for a place to stay for a few nights. Properties that are close to tourist attractions in the city centre or are ideally located for businesses, are very popular. These properties are excellent for short-term lets. High quality properties are always appealing to short term tenants. If you’re considering purchasing a property exclusively for short term lets, such as Airbnb, you may want to consider buying a home off plan. Many homes are now being purpose-built for Airbnb. 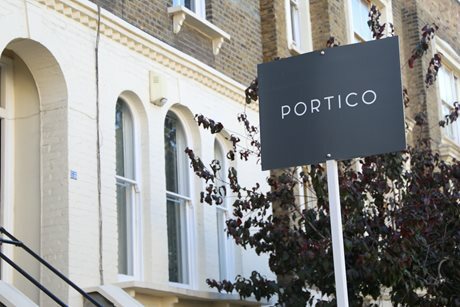 At Portico, we are currently offering a scheme of flats in Liverpool that have been built with Airbnb in mind. The flats are due to be completed in 2020, and as the North West boasts some of the best yield rates in the country for Airbnb, it’s certainly one to look out for. 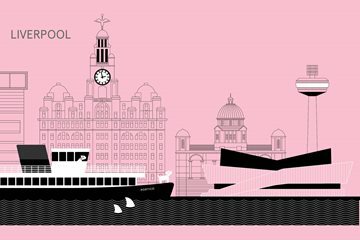 If you would like to find out more about the development please email liverpool@portico.com or give us a call on 0151 601 3000! If you have a property you would like to get a Sales, Lettings or Airbnb Valuation on, why not try our Instant Valuation Tool or give us a call on 0207 099 4000!